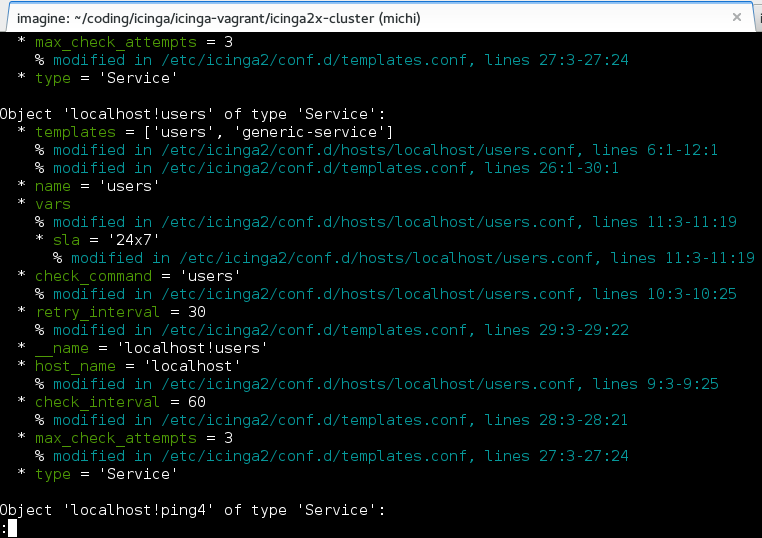 Icinga 2 Release News: 2.1.0 is out! The new release 2.1.0 adds new features to Icinga 2 – all thanks to your great feedback on the 2.0 releases. You’ll find plenty of documentation updates (improved “Getting started” and “Distributed Monitoring and High Availability” documentation) and also package enhancements (mostly SUSE related, as Icinga 2 hit their repos lately). On the side, we’ve continued to polish up docs.icinga.com and streamline the Icinga Web 2 Docs viewer, freshen up our dev.icinga.com, update the Icinga Vagrant Demo Boxes and further develop Ansible and Puppet modules for Icinga 2 (announcements on the latter shortly). Download Icinga 2 and upgrade now. Don’t forget to update the DB IDO schema – find details on the Changelog. The icinga2-list-objects script does not only show all objects (also those generated from apply rules), it also enables you to use one of the coolest features we’ve ever implemented: All object attributes will show their modification origin (templates, dictionary add/remove, etc) including the file name, line number, character from-to. 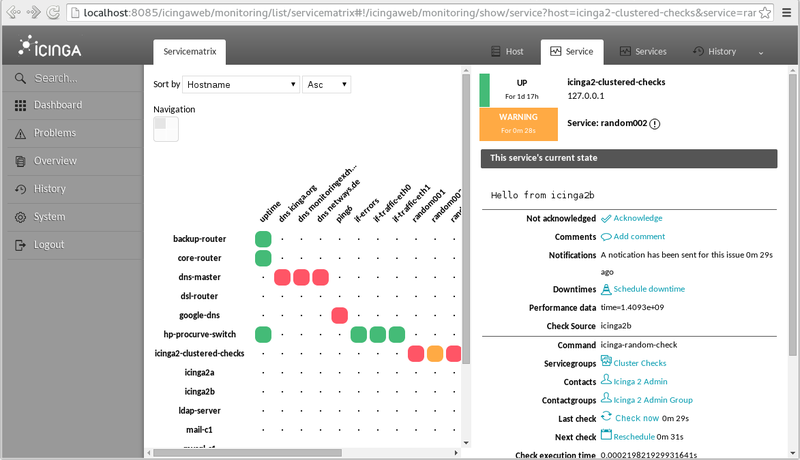 The curious can read on in Gunnar’s recent post on “Analysing configuration problems with Icinga 2“. We’ve also added an application search path for the default icinga2.conf file – this enables shorter config validation, and helps tests and debug runs too. When a command fails to execute you would normally want to see why. As we feel the same way about it, we’ve changed all failed commands to log severity warning. There are similar enhancements in other areas where logging was unclear – for example when the performance data parser fails to collect metrics for Graphite (there’s a discussion on wrong locales vs plugin api still in progress here). I’ve set a wrong path for the PluginDir constant in constants.conf for this example. The DB IDO programstatus table requires the additional endpoint_name column to ensure that there’s only one active node populating the database, even in a split-brain failure scenario in an HA zone. The high availability functionality has been added to the notification feature but in a different fashion. Similar to check load balancing inside a cluster zone, notifications are now load balanced too. If you prefer to maintain redundancy when sending notifications, set enable_ha = false in the NotificationComponent configuration (details on the documentation). Poll Question: Man pages for Icinga? We have implemented DocBooks as our standard for Icinga’s documentation and were thinking of taking our documentation to man pages too, delivering it with the core. If you think our docs would come in handy for you at installation and in your day-to-day use, let us know in our poll below! As always comments and other ideas welcome below.